Florals are big news this Spring. Ground-breaking, we know, but at White Stuff we like to do things a little differently. 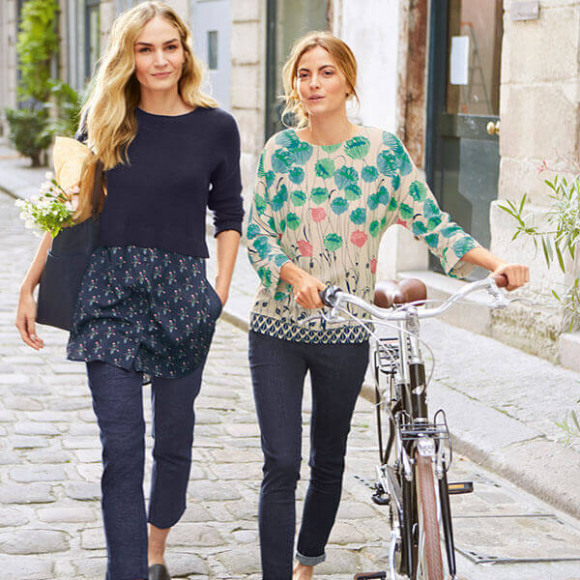 Our grown-up prints are simple, stylish and easy to wear. From floral accessories right through to bolder patterns, here's our guide to making floral-print outfits work for you. If subtlety is your style, experiment with floral clothing by pairing ditsy print pieces with basics, such as denim or block colours. A crisp floral shirt goes perfectly with indigo jeans for a smart casual look, or switch things up with a flowery skirt and block-coloured knit. Keep an eye out this Spring for our beautiful embroidered pieces – they're perfect for giving florals a go without feeling too flowery. If you're a fan of feminine style, nothing says Spring quite like a pretty floral dress. With so many prints in our wardrobe to pick from this season, you'll be spoilt for choice. For something that's as appropriate for work as it is for the weekend, opt for floral designs in muted shades. Choose a knee-length dress in a lovely soft fabric and pair this floral outfit with tights and boots if there's still a nip in the air. Want to tone it down a bit? A dress with a small flash of flowers will keep your look understated. A nipped-in waist and a loose, flowing skirt creates a flattering shape that'll work all year round. Then, when summer arrives, pair your floral dress with flat sandals and a boho-style tassel bag. Festival chic! Looking for an item that stands out from the crowd? Our bright, bold prints are bloomin' lovely. A pretty pastel-hued number gives the perfect nod to Spring, or plump for a pop of primary colour as a fresh alternative. Teaming your favourite bold floral clothing item with something classic like a pair of navy trousers makes a sophisticated statement. Stay coordinated without going flower crazy by keeping your accessories simple, too. A muted leather handbag and pair of plain pumps will let your print do the talking. New to the flower scene? Start small with some floral accessories. A flash of a flowery sock or a bloom-embossed belt is an easy way to try the look. When it comes to evening wear, up your flower power with a glamorous floral necklace, or pair of earrings. 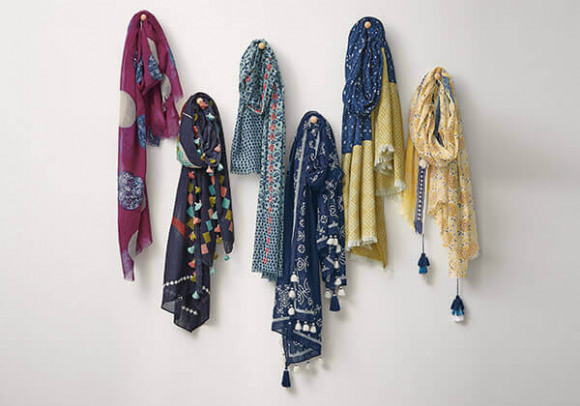 A printed lightweight scarf is endlessly versatile and a great piece to see you through the Spring. Team it with neutral or tonal colours for an eye-catching finish.